The first book I read in Kindle. There are a whole library of free downloadable books available on Kindle, this being one of them. Even without the device, the Kindle Crome App is a pretty decent application to read EBooks from Amazon. The book is an amazing story of Shackleton’s expedition to south pole. 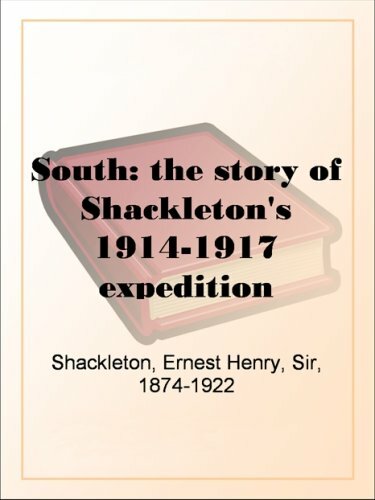 Many books have been written and movies made on Shackleton’s failed expedition, but this is the first person account. Sir Shackleton’s met with shipwreck in the icy waters of the antarctic. This ship the Endurance was trapped in the antarctic ice and was eventually crushed by the ice-packs of freezing winter. The crew survived the winter on the ice flow and on under favourable conditions set sail to Elephant island on an open boat James Caird. Elephant Island was an uninhabited island where the crew stayed on for the summer. Shackleton and five of his trusted sailors departed on a mission to South Georgia to seek help. Those were the days when there were no radio or wireless communications. A fine narration of human endurance against the forces of nature!! !